Along with the receivers and transceivers I always find that there are other accessories that I need to get that little bit extra out of the gear. The first essential item was the DigiMaster USB CT62 CAT Interface for the Yaesu FT-857D from ZLP Electronics. 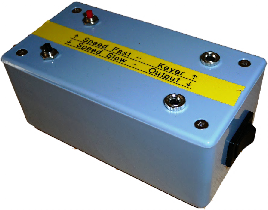 Another useful device is the PowerMate from Griffin Technology, which can be used as a USB rotary "radio tuning" knob when using Ham Radio Deluxe. Signalink USB is another great little unit that integrates really well with Ham radio Deluxe this is used for working in digital modes such as PSK31, CW, RTTY,SSTV etc. it is really a sound card and radio interface in one, leaving your computer with your standard sound card still able to be used for all those annoying windows warning sounds. I want to learn Morse code as I think it is still a mode worth operating, I have started collecting bits that will help me get into this mode. 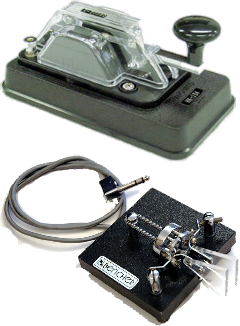 My first acquisition was the HiMound HK-704 straight key and a Morse oscillator, then I bought a Bencher BY-1 Iambic paddle. Before I could use the paddle I needed an electronic keyer, so I built one and I was pleasantly surprised by the results. I understand that I should really listen and understand code before trying too hard to send, with that in mind I bought a cd called the rhythm of the code by Phil Kawa. It’s really catchy and makes it easy listening so I hope it works. 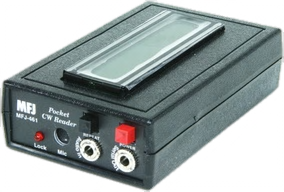 I have also bought an MFJ-461 Pocket CW reader, which I hope to use along with the Bencher paddle and the keyer to check my progress. 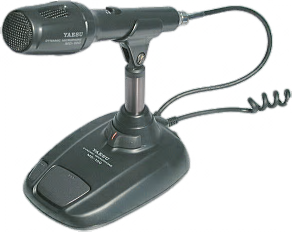 The latest acquisition to my accessories is the Yaesu MD-100A8X desk microphone. This will find use with both my FT-950 and FT-857.